Family Living at it's Very Best! Sunny, spacious and designed for family living, this well presented, lovely home offers 5 bedrooms, main bedroom with ensuite and walk in robe, 2 living areas plus a study or 3rd living area. Modern, well- appointed, open plan kitchen/living leading out on to the expansive, well established, private back garden which boasts a solar heated swimming pool plus a spa pool too! Partially double glazed, with 3 heatpumps plus a wood burner to help ensure year round comfort for you and the family. 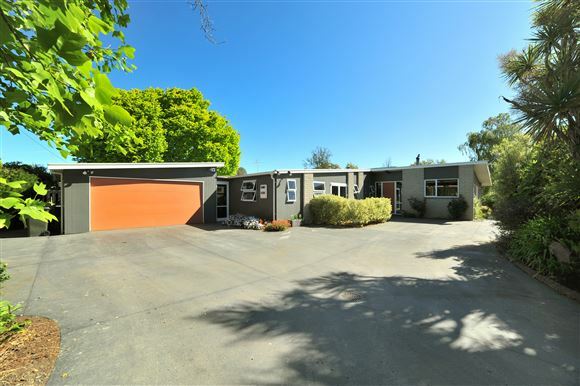 Generous sized, internal access, double garaging plus off-street parking. This much loved family home is on a rear 1308m² section in a sought after, convenient location, with local schools, restaurants, shopping and Lincoln University all close-by. Call today to arrange to view, viewing will certainly impress.